View More In Soap & Shampoo. Moroccanoil Intense Hydration Mask, 16.9 oz Hair in need of extra conditioning can benefit from this 5-minute revival treatment. 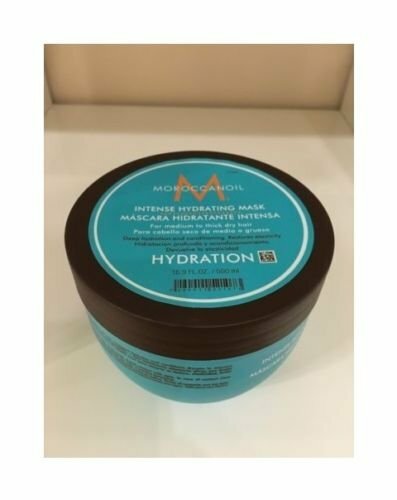 MoroccanOil Intense Hydrating Mask is ideal for thick hair, the high-performance, argan oil's rich formula deeply hydrates and conditions while dramatically improving hair's texture, elasticity, shine and manageability. If you have any questions about this product by Shampoo & Conditioner, contact us by completing and submitting the form below. If you are looking for a specif part number, please include it with your message. 12X CHARCOAL SERUM "Hair Serum" Reduce hair fall and stimulating the regeneration of hair.